In an article by Professor Douglas A. Kahn published by the American Bar Association, Mr. Kahn contends that the increase in experiential learning in law schools is leading to a decrease in law student enrollment in core doctrinal classes, such as tax courses. According to Professor Kahn, only one-third of the students who recently graduated from Michigan Law School took a tax class, and less than 10% of those students took either partnership or corporate taxation. Sadly, the situation at Michigan Law School is not unique. Don't miss out on this amazing opportunity to learn, network, and grow your practice. 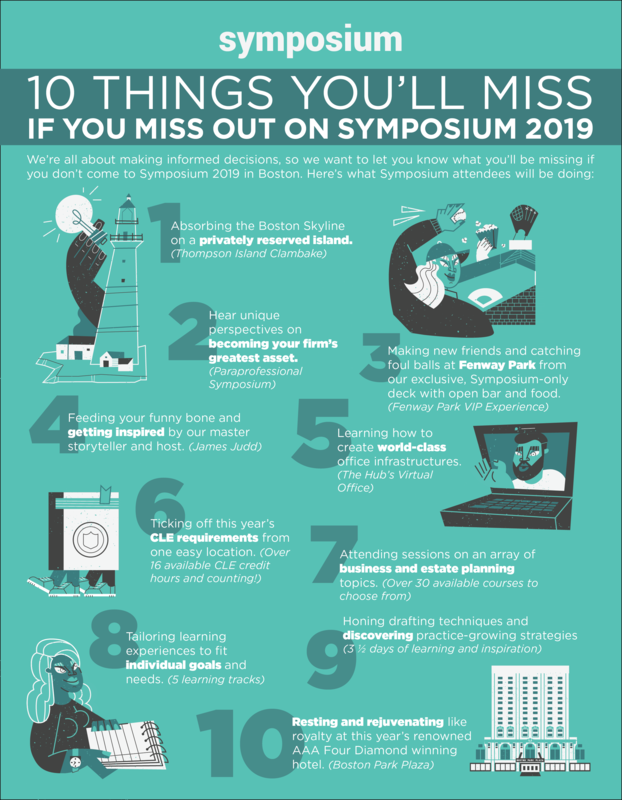 Visit our website to register, read the full agenda, and choose the symposium pass that works best for your budget. See you in Boston this July! This past tax year has been one for the books. The Tax Cuts and Jobs Act (TCJA) has brought about sweeping tax reform, the likes of which we’ve not seen in decades. Despite numerous articles on how to anticipate these changes, taxpayers and professionals alike are still reeling from how the 2018 tax season played out. Advisors should not take too long to catch their breath, though. Before you know it, clients will call you, asking how they can maximize their tax savings for 2019. Before you advise these clients, check out these five takeaways from this past tax season.